I am sure you have a lot of questions on how to use the site and the programs to get the best results! This article will give you some insight into how to use our site and the programs. We have two primary types of memberships as you know. Level 1: this is the basic membership that gives you access to all of our pre-written programs that have been tested and proven to deliver results. Level 2: this is the level that includes the GetStrong engine, and we choose the program for you after you enter the required information. Let’s look at the Level 1 membership first. The first thing you must do is decide what type of program that you want to follow? Do you want to compete in Powerlifting, or are you Training for Life (TFL)? The Powerlifting programs are designed for those who want to compete in the sport of Powerlifting where the Squat, Bench Press and Deadlift are the tested. Training for Life (TFL) is our system of getting you in the best shape EVER and will get you prepared to tackle any obstacle life throws at you. Now that you’ve decided which program to follow, we cannot stress enough that you start with our Beginner blocks no matter what level you are at. For those of you who have never trained before, it will be a “ramp up” period and will allow you to develop the strength, skill and technique in order to handle the training blocks that follow. For those of you that have been training, it is more of a deload period and it allows you to get accustomed to the way we do things, and the lower amount of work that you are used to will allow your body to recover from higher intensity training. This may seem like a step backwards, but trust us, it is not. It will let any nagging injuries you may have heal up, and it will allow you to focus more on proper form and technique. This applies to both, Powerlifting and TFL! Once you have chosen which style of training that you want to do, again, we cannot stress enough that you do not Program Hop. Don’t jump back and forth between Powerlifting and TFL. The only exception here is if you are on one style of training, and you decide that you want to switch to the other, we suggest that you contact us and let us know and we can guide you in the process. For example, you have been training TFL for a few months and decide that you caught the bug to compete, go ahead and let us know. We love when people want to do something different. We just don’t want you to jump around between both styles of training. That will guarantee that you do not get the results you want! All of our programs are dripped to you. Dripping means that we will give you access to the programs a week at a time. Well, after much research as to best practices, and our many decades of experience, we have found that if we give you the entire programming block, there is a good chance that many of you will skip around in the program and do the sessions that look good to you and not the entire block. What you must realize is that the programs are all built off of a foundation that was built in the prior days, weeks and months. If you jump all over the place that completely defeats the purpose of having a program, and it leads to less or no results. With this in mind; we will drip the program to you weekly. With that out of the way, we also suggest that you do the blocks in the order listed. For example, you will see TPSM TFL Block 1A, 1B, 2A, 2B etc. It is best to do them in order for the reasons I listed above. BUT: Let’s say that you’ve been training with our system for a while and you have a special event coming up in a few months, like a beach vacation and you want to shred up. All of our programs are tagged as well. You can search for a “Fat Loss” block and run that for 8 weeks to get a little more shredded. Or if you are in the Powerlifting programs and you decide to do a meet in three months. Choose a meet prep block. All of the programs will also have videos linked for you. The videos will be for exercises that you may not know the names of. Simply click the link and a quick video showing you how to do it will pop up. If it is something that you are really unfamiliar with, we also have longer videos in the Library that explain the exercises more fully. It is good practice to review the entire week in advance and look at the videos for exercises you are unsure of how to do so that you are not taken by surprise when you get in the gym. Level 2 memberships use the GetStong engine. This is our totally awesome, custom coded engine that picks the training blocks for you based on your information that you submitted in the intake process. To use the GetStrong engine, go to the Member Dashboard and enter all of the required information into the data boxes and the GetStrong engine does the work for you. At the end of each block you can go back in and re-enter information to get updated blocks, or leave it alone and it will use our smart code to give you the next block that suits your goals. We suggest that you leave most information as is unless there has been a test of your max lifts, or if you are Powerlifting and have done a meet and you now have new PR’s. If that is the case, you must go back in and enter new maxes so that the engine knows what you are capable of doing and so that it can adjust the weights you are using. Remember, our GetStrong engine is brilliant, but it only knows what you tell it. So, if you started the training and you entered, for example, 405 as your max squat; but you’ve been through 4 blocks and your squat has gone up to 455, or your bench press, or whatever, and you did not enter new maxes, guess what? Well, one, that was a huge run on sentence, and two, the engine doesn’t know that you are capable of using more weight, so it will not let you. You’ve got to give it good information. If you continue working at a 405 max, but your true max is 455, you will not be doing the proper volume and intensity to make consistent, steady progress. Remember the old saying with computers, garbage in, garbage out. Give it good data and it will work optimally for you! I hope this article helped you understand how to use the program section of our site. If it didn’t, please ask us any questions that you have either in the Forum, or via email. 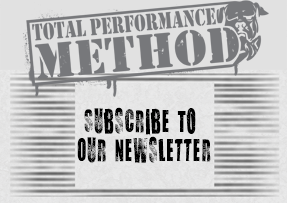 Thanks for being a member of TPSMethod.com!